If you’re a marketing official for the Lincoln brand, you do have a straightforward yet somehow difficult problem. How do they let luxury car buyers know that the Lincoln brand is actually a viable option for the well-to-do? The problem here is that even those who have heard of the Lincoln brand seem to think it’s only good enough to rent when you’re disembarking from a plane and heading to the hotel. What’s a crossover? In its most basic sense, it tries to get the best aspects of an SUV and a regular sedan. 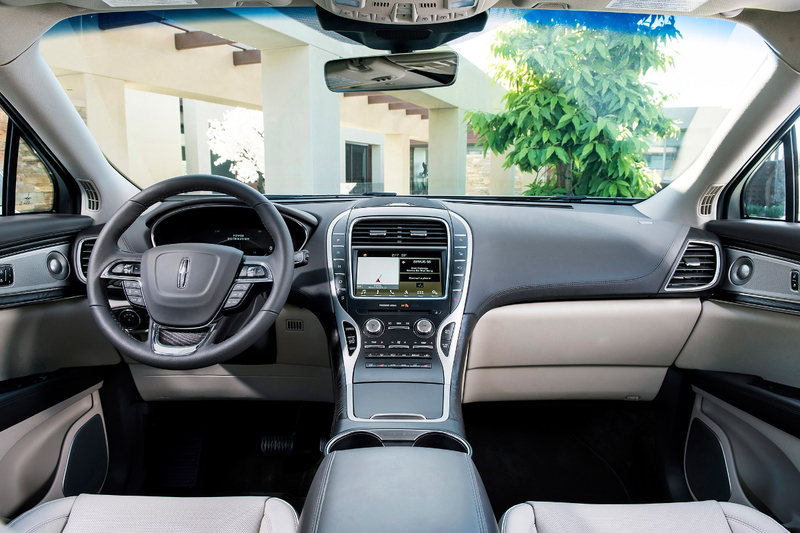 With the Nautilus, you can say that it’s a combination of the Lincoln Navigator SUV and the Lincoln Continental sedan. 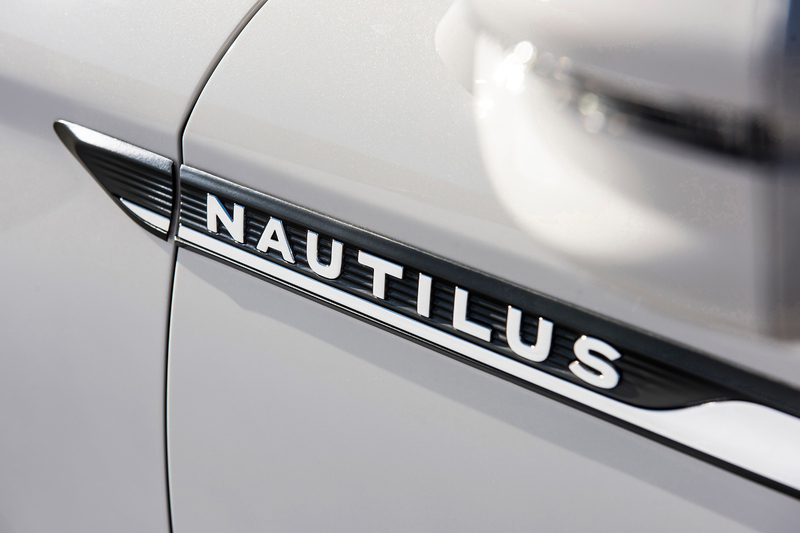 Like the other 2 vehicles, the nameplate badges of the Nautilus are also located right behind the front wheels and in the forward section of your front doors. So the space at the back is ample enough to accommodate a huge LINCOLN badge. That’s to make sure that everyone knows what you’re driving, and besides it does look great. Coincidentally, it also helps the marketing officials at Lincoln with their mission to increase their brand visibility. Like its MKX predecessor, the Nautilus offers a rather notable list of terrific features. It all depends on what trim you get, and Lincoln is banking that most people will go for the top tier trims. After all, with the MKX the Reserve trim (which was the 2nd-highest trim) accounted for about 60% of all MKX sales. The early sales for the Nautilus confirm the predictions of the Lincoln officials, and indeed most of the buyers went for either the Reserve or the Black Label (the highest trims). This isn’t surprising when you note all the extras you get with these trims. The Reserve also has impressive 20-inch wheels, and the wheels on the Black Label look even better with their 21-inch measurements. Choose the Black Label trim for the Nautilus, and you enjoy more than the terrific features like the intriguing color schemes, dual-panel sunroof, Alcantara headliner, and updated leather. The extra services you get should get your attention as well. This trim gives you complimentary maintenance for 4 years or 50,000 miles (whichever comes first). For your first 4 years of ownership, you also get 1 free detail per year. This comes with a 50-mile range for pickup and delivery, which is better than the 20-mile range offered with other models. So when you enjoy these services, a valet will visit your place to pick up your car for the service. They’ll lend you a loaner car in the meantime, and then they return your car when it’s done. You don’t even have to visit the dealer to enjoy this service. The Lincoln brand has never really been synonymous with fuel efficiency, but at least they’re trying. The EPA estimates that the Nautilus will get 21 mpg in the city and 26 mpg on the highway. That’s not exactly “fuel-efficient”, but then it’s an improvement over the MKX’s fuel consumption. But that’s hardly surprising when you realize what kind of engines we’re talking about here. The MKX base engine was a naturally aspirated 3.7-liter V6. With the Nautilus, the base engine is a 2.0-liter turbo-four. According to the Lincoln officials, they expect most customers to go with the base 2.0-liter turbo-four powerplant. This 4-cylinder engine gives you 250 horses along with 280 lb-ft of torque, and for most people driving on city roads and highways this output level should be good enough. Besides, they’ve done a remarkable job in minimizing the road and engine noise from all the models of the Nautilus. You do have the option to instead go with a 2.7-liter twin-turbo V6. This will give you 335 HP and 380 lb-ft of torque. Lincoln maintains that most people will still go with the 2-liter base engine despite the fact that 70% of all MKX sales came with the 3.7-liter V6. Who knows, maybe they’re right since the 2.7-liter twin-turbo V6 for the Nautilus will cost an extra $2,070. 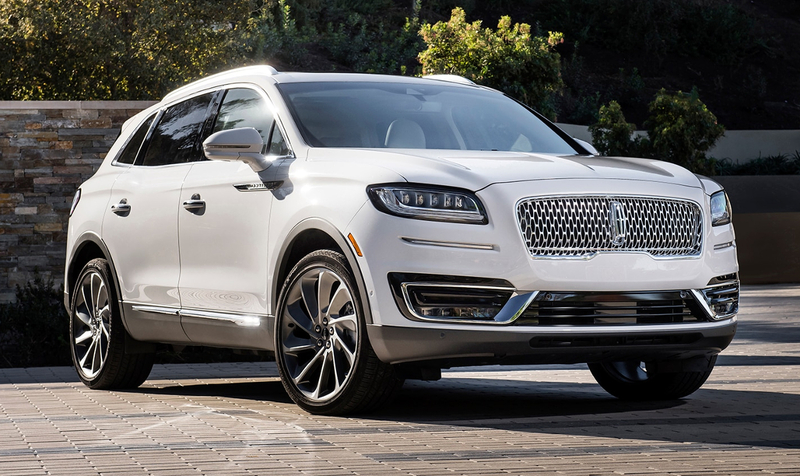 Lincoln has the MKT model for those who want something bigger than the 5-passenger Nautilus but more affordable than the Lincoln Navigator (which costs at least a whopping $70K). This is the brand’s 3-row crossover with 7 seats, and it’s also getting replaced with the new Aviator. This new crossover will come with a rear-drive platform and a plug-in hybrid option, along with the looks that resemble the ever-popular Navigator.